An elegant new watch is just what the love doctor ordered for her! 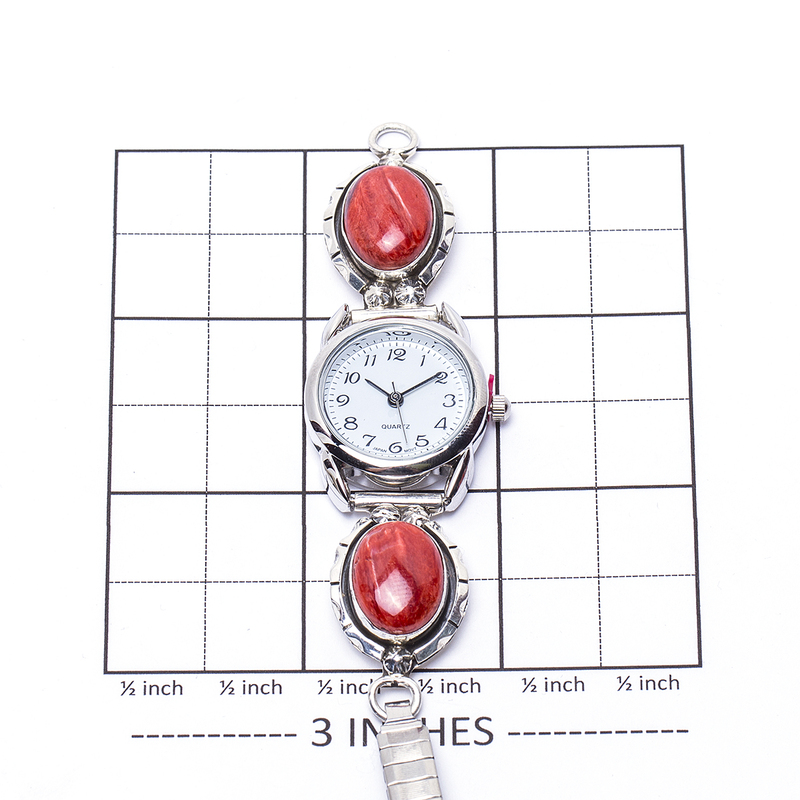 Swoop on by and pick up this beautiful spiny oyster watch for her. Surprise her today and show her just how much you appreciate her. Rich red spiny oyster stones are surrounded with elegant sterling silver accented with linear designs. 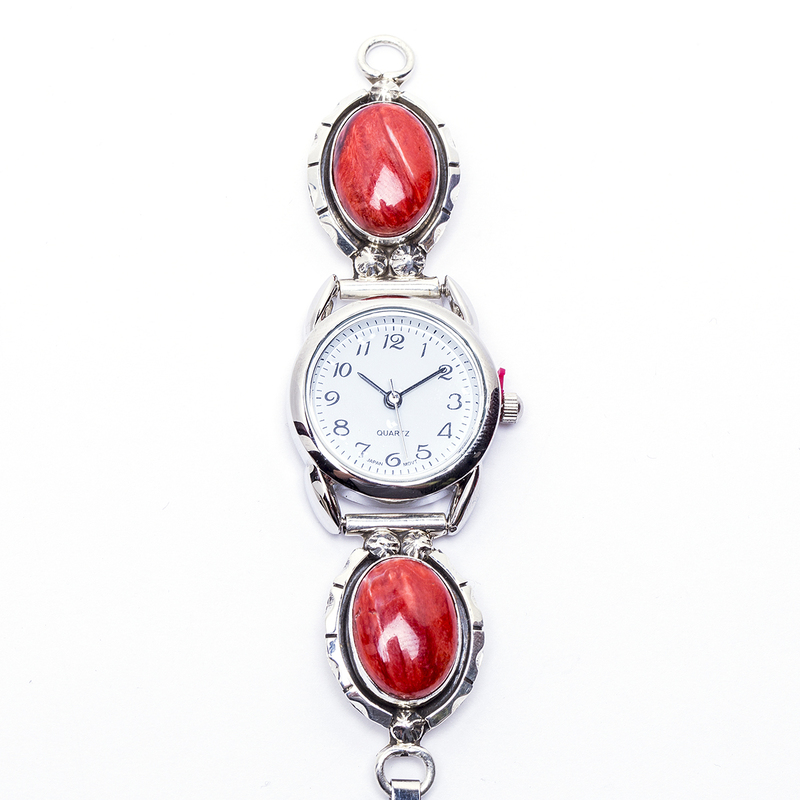 This Navajo AL Spiny Oyster Watch is handcrafted by skilled Navajo artisan and silversmith, AL. The watch tips measure 1 1/4″ long by 3/4″ wide and are set on an included basic quartz battery watch. It weighs 26.7 grams and can be adjusted to fit by us or most jewelers. 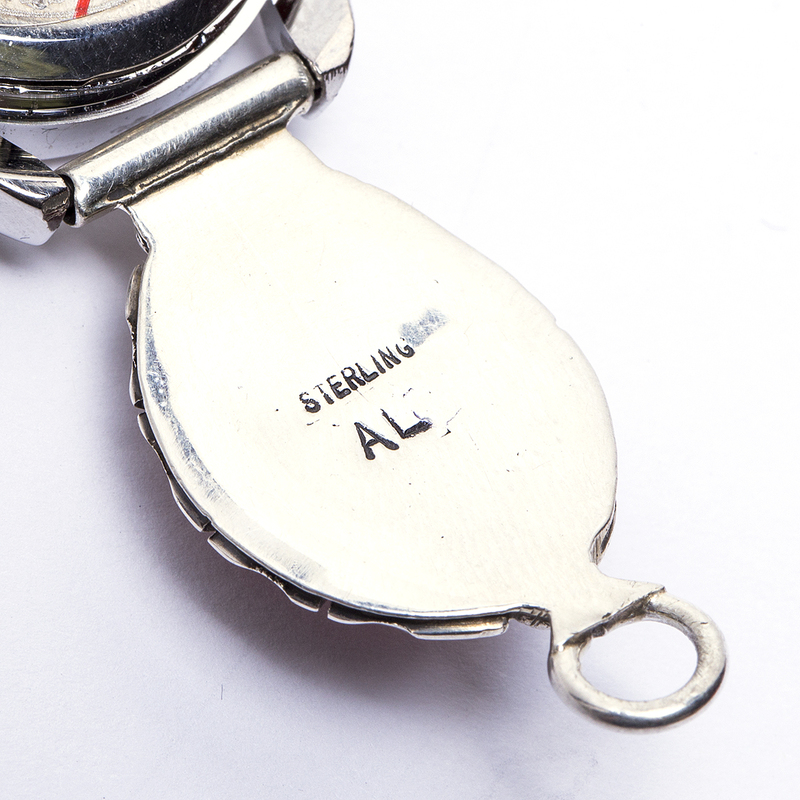 It is hallmarked “AL” and “Sterling”. We also offer free gift wrapping with each purchase! Get a head start on your shopping with this elegantly handcrafted Navajo AL Spiny Oyster Watch; it’s what the love doctor ordered just for her!